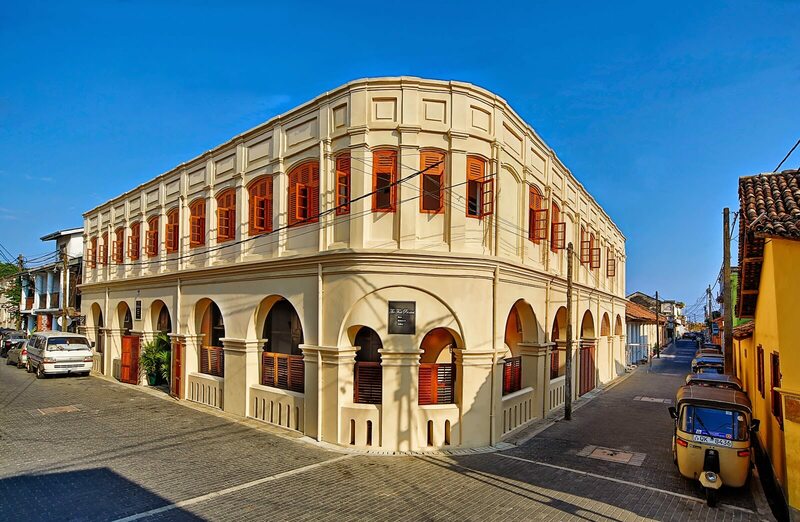 The Fort Printers is an 18th century mansion in the historic Galle Fort in Southern Sri Lanka. 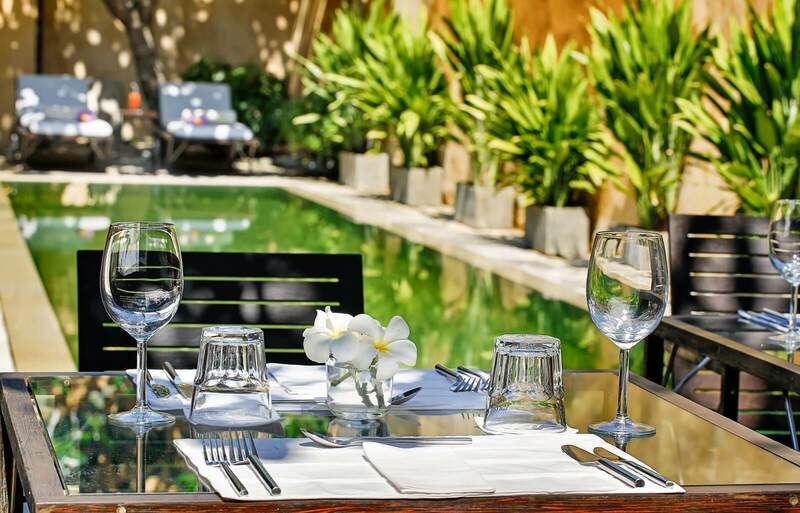 It has been restored into an elegant small private hotel offering personal service in an intimate, friendly atmosphere. The mansion traces its origin to the Dutch period but additions were made in the English era after 1796, including high ceilings and large windows. Fort Printers operated as a famous printing company until 2002. 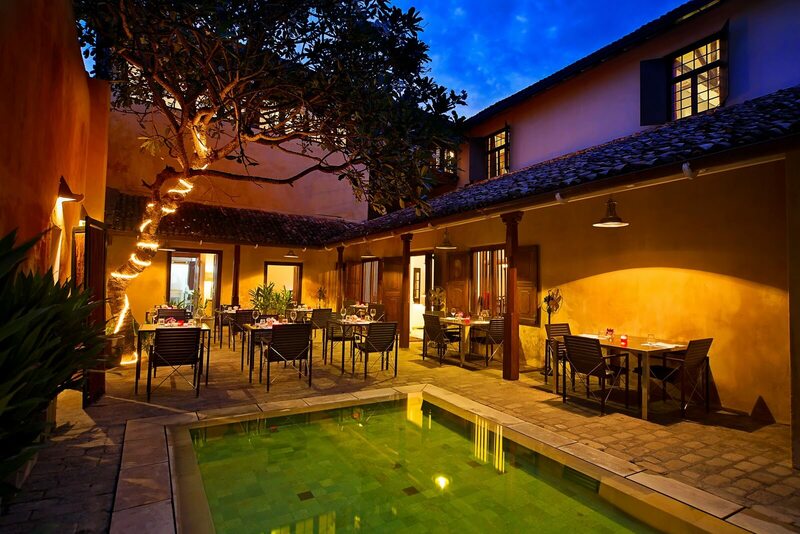 It provides ideal and exclusive accommodation to explore the Galle Fort, countryside and the beaches around Galle. 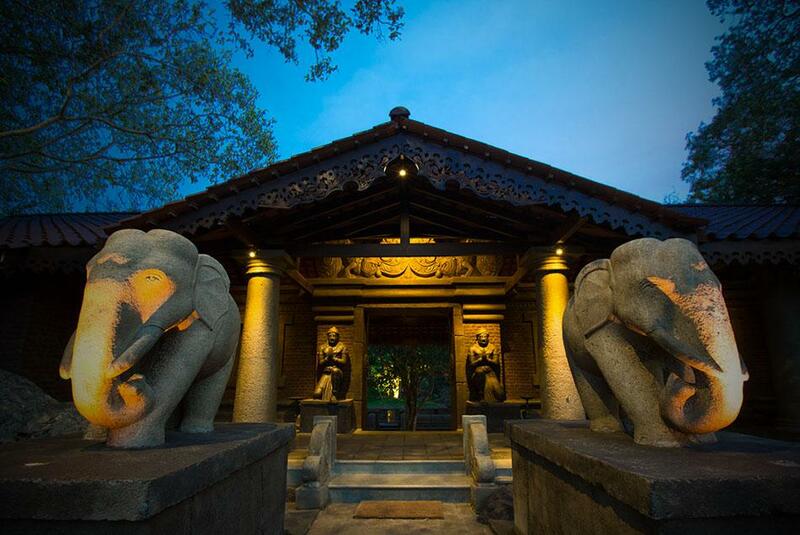 The Fort Printers comprise three villas with 13 bedrooms. 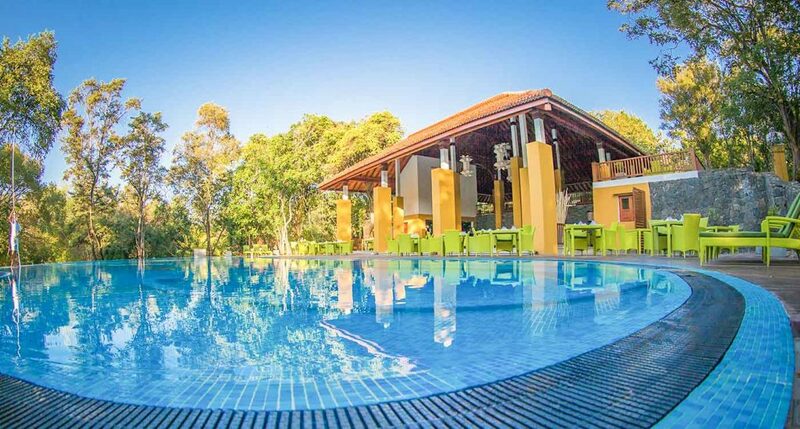 Each of the villas may be booked for exclusive use or as separate suites. 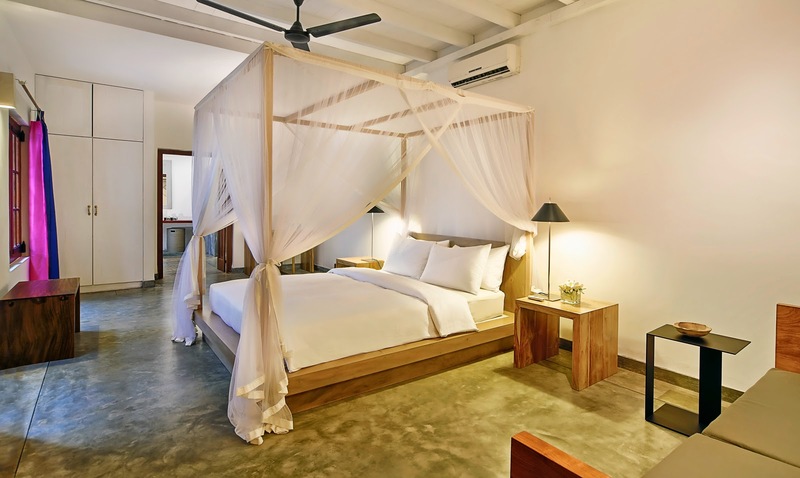 The rooms are part of The Fort Printers as hotel suites yet have the feel of a private residence. Each of the bedrooms has an elegant contemporary bathroom with an antique bath tub. 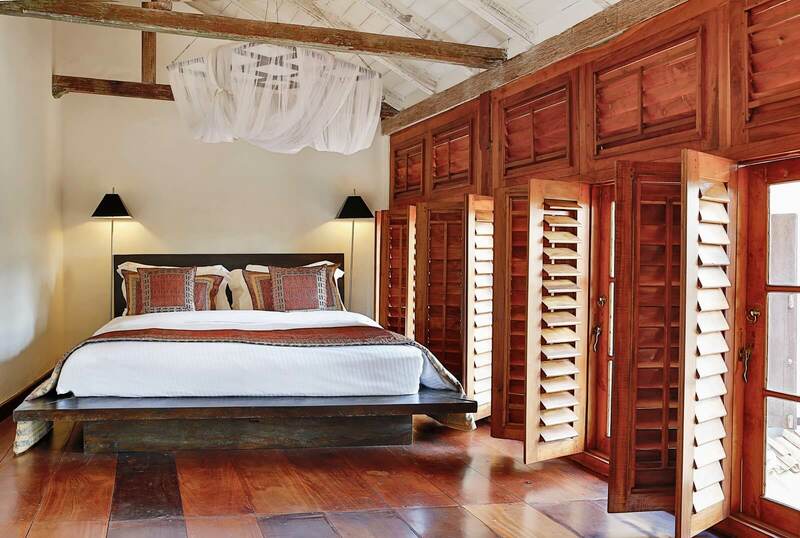 The bedrooms feature a four poster bed, a sofa-bed/chaise lounge and a writing desk with designer chair. The building has a private sitting room with a mini library and an Ipod station, a private dining area with a long dining table to host 10 or more dinner guests and individual dinners. Located on first floor with views over beautiful tiled roof and with sitting areas in front of each in the wrap around gallery, these rooms have beautiful old hard wood floors, exposed antique wood beams, a mix of contemporary and classic furniture and silk curtains. Each room has a double bed with mosquito net, separate shower room, outside sitting areas, luxury toiletry and a mini bar with tea making facilities. Located on first floor with views over beautiful tiled roof and with sitting areas in front of each in the wrap around gallery, these rooms have beautiful old hard wood floors, exposed antique wood beams and a mix of contemporary and classic furniture. Each room has a double bed with mosquito net, separate shower room, outside sitting areas, luxury toiletry and a mini bar with tea making facilities.